The project highlighted here was fabricated for a corrosive chemical handling application. The customer needed pump and corrosive fluid handling components that could handle these harsh environments, and provide precision and long service life. 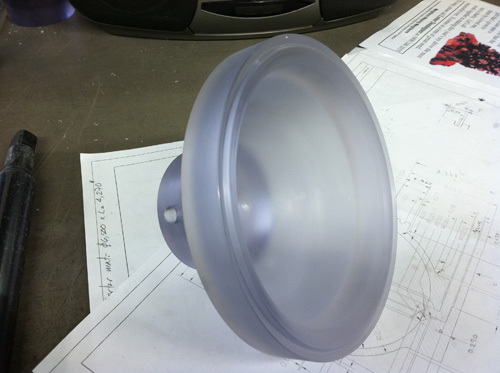 ARC Plasmet Corp. specializes in plastics manufacturing for a variety of applications, for a wide range of industries. This project required the use of saw cutting and precision CNC machining of clear polycarbonate to dimensions of 4" in length, 5" in height, 6" in width, all to tolerances of ±.005". All dimensions and tolerances were verified by dimensional and visual inspections. At ARC Plasmet we manufacture projects such as this with typical lead times of 2 weeks. For more information about this project and the processes involved, see the table below, or contact us directly.